428 Marlborough is located on the south side of Marlborough, between Massachusetts Avenue and Charlesgate East, with 426 Marlborough to the east and 430 Marlborough to the west, across Alley 905. 428 Marlborough was designed by Cummings and Sears, architects, and built in 1886 by Thomas Lyon, mason, for merchandise and food broker Albert Henry Morse and his wife, Ella Josephine (Frost) Morse. He is shown as the owner on the original building permit application, dated May 28, 1886. Ella Morse purchased the land for 428 Marlborough on April 14, 1886, from Henry Lee, H. Hollis Hunnewell, and Augustus Lowell. It was part of a larger parcel that Henry Lee and his partners purchased on February 20, 1883, from a real estate investment trust formed by Grenville T. W. Braman, Henry D. Hyde, and Frank W. Andrews. The parcel was one several tracts of land the trust had purchased from the Boston Water Power Company on March 1, 1872. 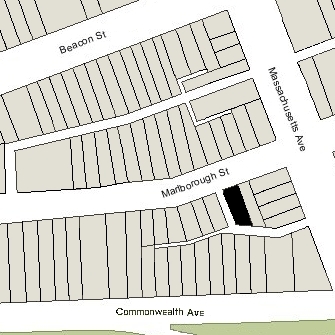 Click here for an index to the deeds for 428 Marlborough, and click here for further information on the land west of Massachusetts Avenue between the south side of Beacon and the north side of Commonwealth. By the 1887-1888 winter season, Albert and Ella (Frost) Morse had made 428 Marlborough their home. They previously had lived at 26 Concord Square. Their son, Albert Henry Morse, Jr., lived with them. He was associated with his father’s merchandise brokerage firm. He married in July of 1897 to Ada C. Burke. After their marriage, they lived at 428 Marlborough with his parents. Albert Morse, Sr., died in February of 1905. Ella Morse and Albert and Ada Morse continued to live at 428 Marlborough. On April 4, 1910, Ella Morse transferred the property to her son. Ella Morse died in March of 1919. 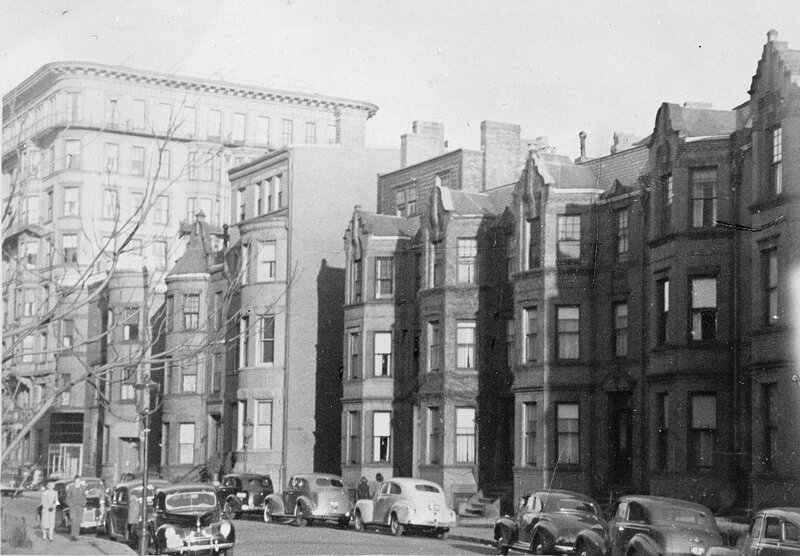 Albert and Ada Morse continued to live at 428 Marlborough during the 1930-1931 winter season, after which they moved to an apartment at 360 Beacon. They also maintained a home in Manchester, Massachusetts. 428 Marlborough was shown as vacant in the 1932-1939 City Directories. On May 18, 1939, 428 Marlborough was acquired from Albert Morse by real estate dealers Warren-Stevens Inc.
On June 27, 1939, 428 Marlborough was acquired from Warren-Stevens, Inc., by Mrs. Mabel F. (Morgan) Reynolds, the former wife of Robert Burns Reynolds, as trustee for the benefit of their daughter, Virginia Esther Reynolds, who lived with her. Mabel Reynolds’s mother, Ida May (Jackson) Morgan Christenberry, the former wife of Harry Morgan and of William Oscar Christenberry, also lived with her. They all previously had lived at 638 Beacon, and prior to that at 362 Commonwealth in 1935 and at 8 Commonwealth in 1934. In January of 1940, Mabel Reynolds applied for (and subsequently received) permission to convert 428 Marlborough into a lodging house. Under the terms of the trust, title to 428 Marlborough vested in Virginia Reynolds upon her twenty-first birthday in March of 1941. On June 7, 1943, she and her mother, as trustee of the former trust, transferred the property to Ida Christenberry as trustee of a newly-established trust for the benefit of Mabel Reynolds. Virginia Reynolds married soon thereafter to Frank Joseph Isabelle, Jr. They lived at 428 Marlborough while he served in the US Navy and then in Fall River. On June 28, 1946, 428 Marlborough was acquired from Ida Christenberry by Robert Winston Taylor and his wife, Edna Beatrice (Walls) Taylor. They lived at 169 Commonwealth. 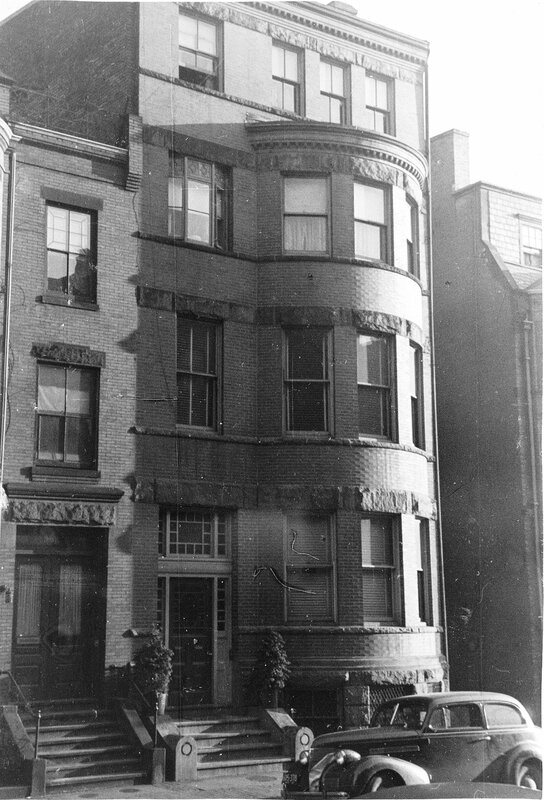 Ida Christenberry and Mabel Reynolds continued to live at 428 Marlborough and operate it as a lodging house. In July of 1947, Mabel Reynolds married again, to Arnold George Stephens. After their marriage, they moved elsewhere and by 1951 were living in an apartment in The Westchester at 833 Beacon. Ida Christenberry also moved and by 1948 was living at 832 Beacon. On July 7, 1950, 428 Marlborough was acquired from the Taylors by Northeastern University. It subsequently converted the property into a dormitory for women, the first dormitory owned and operated by the University. It continued to operate the dormitory at 428 Marlborough until about 1962. On August 9, 1962, 428 Marlborough was acquired from Northeastern University by Patricia A. McCarthy, who conveyed the property on August 15, 1962, to the Van Realty Corporation (John J. Ventola, treasurer). Van Realty initially operated it as a lodging house, and then, in October of 1964, filed for (and subsequently received) permission to convert the property into nine apartments. The property changed hands and on September 10, 1985, was purchased by Meryl Charnow, trustee of the Ludnow Realty Trust. 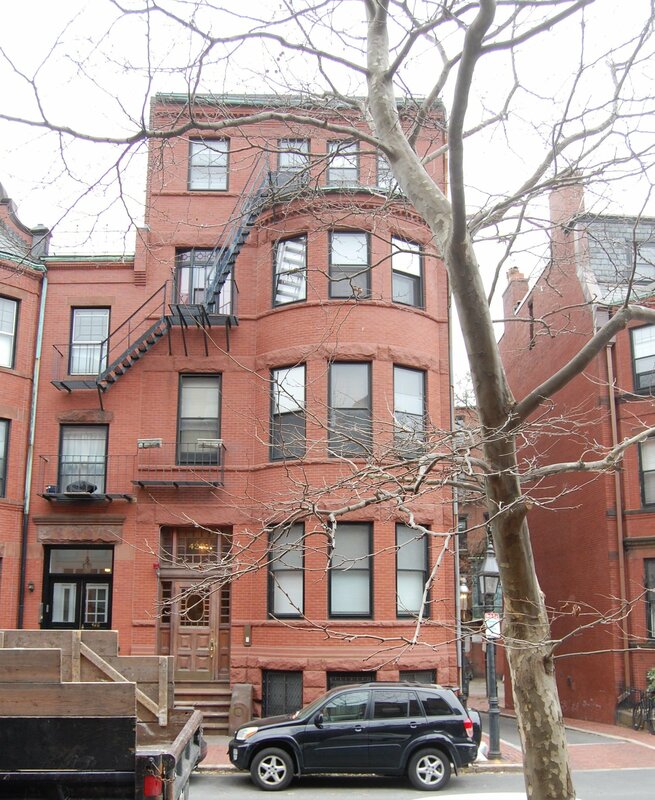 In January of 1986, he converted the property into nine condominium units, the 428 Marlborough Street Condominium. In October of 2000, Theodore Hoppe, owner of two of the units, applied for (and subsequently received) permission to combine them into one unit, and in June of 2002, he applied for (and subsequently received) permission to combine his expanded unit with a third unit. That same month, the condominium association amended the master deed to reduce the number of units from nine to seven, reflecting the combined units.